now I know the different thanks.but I prefer android phone than tablet. because getting replaced of tablet battery is very difficult. 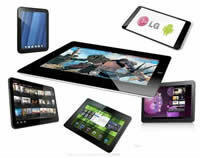 Really, the details mentioned were very useful to understand the differences between a tablet and a smartphone. Further the explanation was very clear and simple. Very good explanation on differences... "CRYSTAL CLEAR"